Today marks the 50th anniversary of the passage of the Voting Rights Act. On August 6, 1965, President Lyndon Johnson signed the Act into law in order to end legal and other restrictions to voting by minorities at the state and local levels. 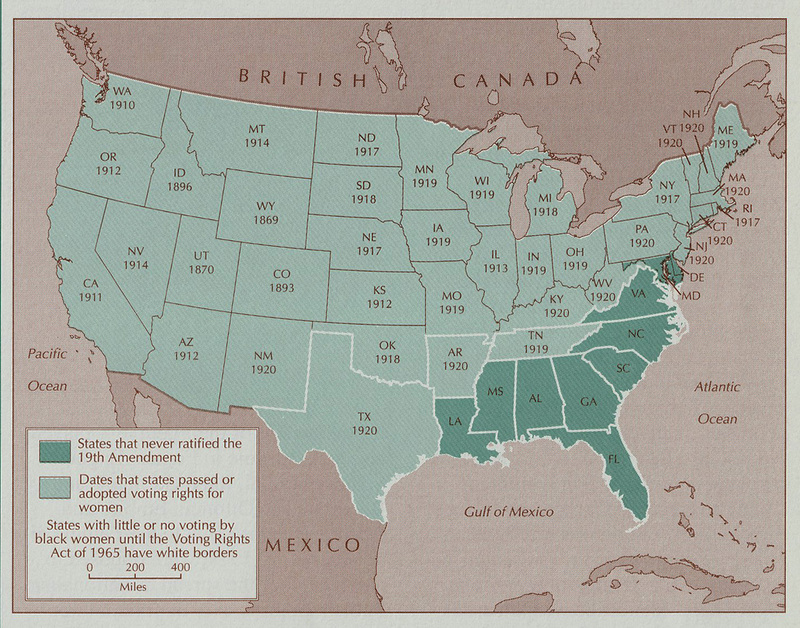 These barriers prevented African-Americans from practicing their right to vote under the 15th Amendment and the 19th Amendment for women. The second map shows the percentage of registered voters in the African-American voting-age population in 1960. 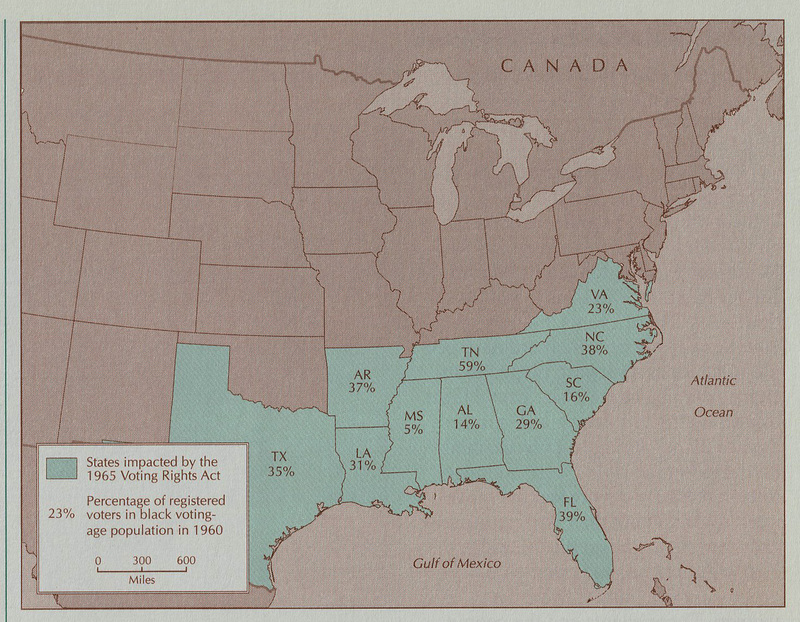 The final map shows the percentage of registered voters in the African-American voting-age population after the passage of the Voting Rights Act in 1971. Mississippi's percentage jumped from 5% in 1960 to 59% in 1971; Alabama's grew from 14% to 55%. The Atlas of African-American History and Politics is available from the Ball State University Libraries’ Atlas Collection on the second floor of Bracken Library. Atlases circulate for 28 days or longer. For more information about cartographic resources related to elections, review the GIS Research and Map Collection (GRMC) subject guide to political science or contact the GRMC at 765-285-1097.